Pujor Etihas What was the reason that made Durga Puja the biggest festival of Bengal? What was the reason that made Durga Puja the biggest festival of Bengal? The strings of this popularity of Durga Puja in Bengal go back six centuries and join Krittibas Ojha, who gives the concept of 'Bhakti' in Indian philosophy. 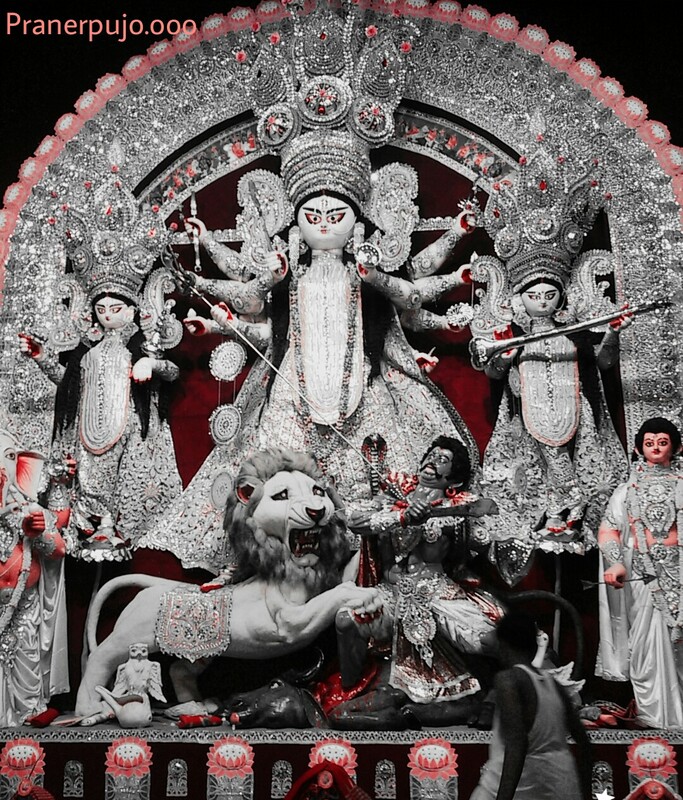 On the occasion of Shardi Navaratri, the festival of Durga Puja in the country is celebrated every year with full pomp. In it, each area has its cultural features attached. Whether it is Masumu's Jambu Savri Dussehra or the Dussehra of Kullu-Manali or celebrated with the Garba dance of Gujarat, this festival has a different color in every region of the country. But Dusshera of West Bengal is the most different. 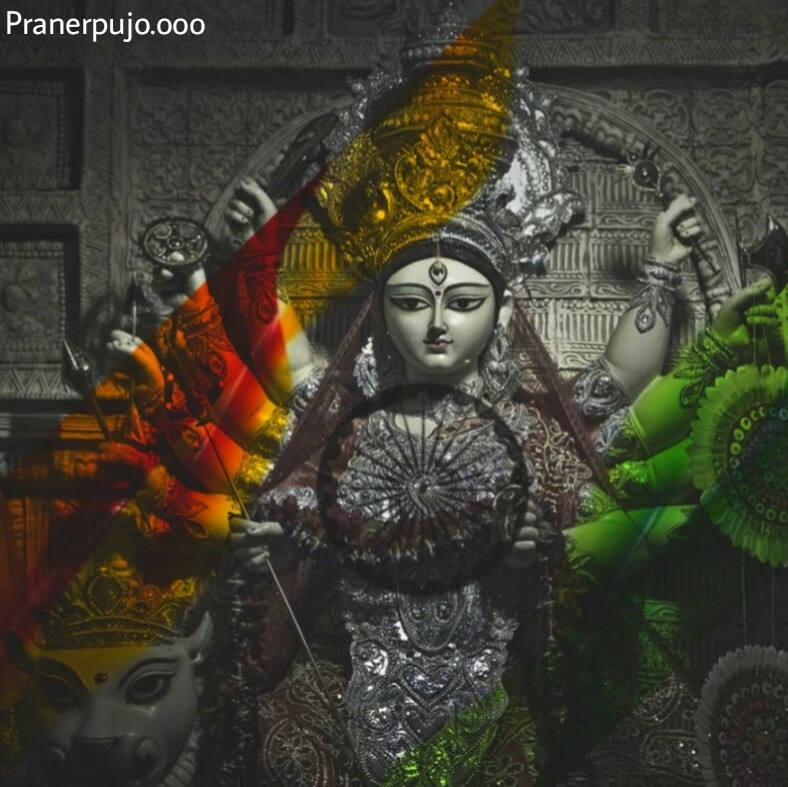 During this festival which lasted for 10 days, the entire atmosphere of the goddess of power becomes Durga's color. There is no celebration bigger than the worship of Durga and Kali for Bengali Hindus. They leave no stone unturned to make this festival special, wherever they live anywhere in India and abroad. In such a natural curiosity arises. After all, what was the event or tradition that Shakti Puja in Bengal got the most important place in all the festivals. Suryakant Tripathi 'Nirala', one of the most versatile poets of modern Hindi literature, wrote a long poem about 80 years ago - 'Shakti Puja of Ram'. Its characteristic is that it is not only the critics but also the Hindi literature. Believe it as the best poem. The plot of this poem is that it describes the war of Ram and Ravan in it. Ram has worshiped Goddess Durga for defeating Ravana in it. It is said that Nirala ji took the plot of this poem from the epic "Sri Ram Panchali" of the famous Bengali folk poet Krittibas Ojha of the fifteenth century. This composition created in the first half of the fifteenth century is the Bengali edition of 'Ramayana' written in Sanskrit by Valmiki. It is also called 'Krivitibasi Ramayana'. Its specialty is that it is the first Ramayana written in any other North Indian language other than Sanskrit. It is a matter of one and a half century before the creation of the Ramcharit Manas of Tulsidas. In many fundamental fantasies of Krittibasi Ramayana, Ram also worshiped Shakti by defeating Ravana. According to critics, Bengal's women-worship tradition has a clear effect on this subject. Kratibas Ojha, following this tradition, described in detail the Shakti Pooja in his epic. Mahakavi Nirala had spent much of his time in Bengal. According to critics, he also fascinated this event, and ultimately he decided to make it the plot of his poem. In this epic, Nirala has described how Lord Rama, the lord of moral powers, is losing in the battle of Lanka from Ravana, owner of demonic powers. Ram, disturbed by this condition, then says, 'Hi! Salah was not able to be Priya (Sita). 'At the same time, Jambuwant, his experienced adviser, suggests that he is losing this battle because he has only moral strength. They further say that no fight can only be won by moral force, for that it is necessary to associate the 'fundamental power'. Jambuwant says, 'Do the fundamental ideas of power, do poojan! Do not leave till the summarity, Raghunandan! "The words of Jambuwant's words were from Durga for 9 days of harsh meditation. By doing so, Ram finally achieved the fulfillment of the Goddess of Power and succeeded in defeating Ravana. Krittibas Ojha was born in 1381 in Bengal. He was not only a poet but also a philosopher. His contributions in poetry to philosophy are therefore considered to be important that the concept of 'devotion' was first given to him. After the medieval period, there were many devotees from Maharashtra to Punjab and from Rajasthan to Assam. All these saints, such as Surdas, Tulsidas, Kabirdas, Radas, Dadu, Nanak, Shankardev, Tukaram, Meerabai, have accepted their recognition of devotion somewhere. According to the famous critic Ramchandra Shukla, these poets gave a huge consolation to desperate people by attacking foreign figures from their creations and devotion. According to him, his original purpose was to do poetry, not to poetry but to worship his deity. That is, it was the first devotee and then the poet. Krittibas Ojha presented a different opinion from Acharya Shankar's Advaita Vedanta that is 'Sub Brahma Hai'. According to the concept of their devotion, both God and devotee can not be equal, that always remains the difference. He believed that if the devotee can do meditation, worship, practice, chanting and meditation, then he can get God's company. Ojha believed that Advaita Vedanta's 'all are equal' people have become obnoxious. According to him, this can not be the welfare of society, they have to do sadhana. According to the experts, the benefit of this philosophy is that in the next few centuries, many poets have highlighted the frustrating socio-political conditions of the medieval period in their writings. He supported the glorious stories of ancient India for this. These stories were interpreted according to the time of the time and were presented in the language of the common people. Not only this, it also suggested solutions to problems. According to the critics, even though devotees even called the original solution to devotion, but its meaning was somewhere deep. They believed that the cause of the plight of the country is the depletion of human qualities, so it is important to first develop humanity in the people. With the help of devotion and God, these devotees tried to develop qualities like discipline, hard work, self-confidence, kindness, love among the people. The re-representation of VaLmiki Ramayana in Bangla language was the result of this thought. According to critics, through the story of Ram, Krittibas wanted to show the duality of justice and injustice in Ojja society. Their motive was that people understand that victory is ultimately of truth, justice and love. They wanted to tell that every day Ravan and others like him have to lose one day. Critics believe that their motive was not only devotion but also to develop an understanding of history and human civilization among the people. According to him, this context meant that injustice can not be defeated by mere moral force. His defeat only happens when the person standing with the judge and the truth follow the 'original' way. The tradition of women-worship in Bengal is prevalent since ancient times. Therefore, there is a lot of influence of the Shakta sect who worship Shakti. On the other hand, there are Vaishnav saints who believe in the worship of Rama and Krishna. Earlier, these two sects often struggled. Through his composition, Krittibas Ojha made a great effort to establish unity among the rulers and Vaishnavas. According to critics, by showing Ram in worship of Durga, he succeeded in creating unity and balance between the two sects. From this point of view, the importance of Rama was established, the power of the woman ie woman was also retained. Because of the beautiful harmony between all the challenges in Krittibasi Ramayana, it gradually became famous all over Bengal. Durga also became popular with it. 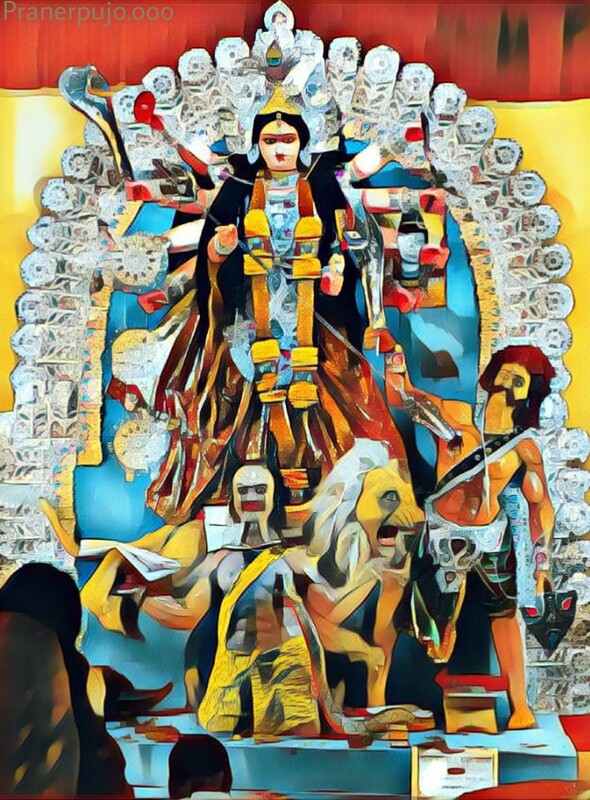 Not only this, in the past five centuries, Durga Puja and Dussehra have not only become a significant festival of Bengal but also other areas of the country. 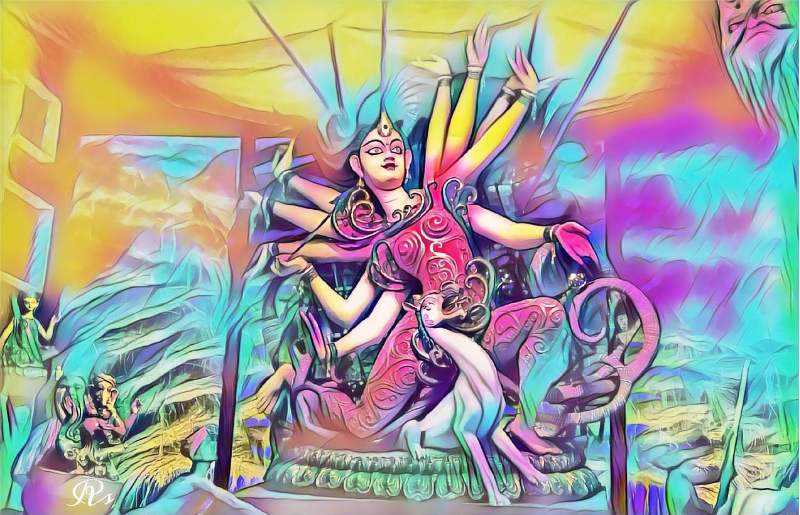 If the effect of Bengal on this is to be seen then the structure of Durga statues can be seen on which the Bengali sculpture has a clear effect.